…learning cursive! 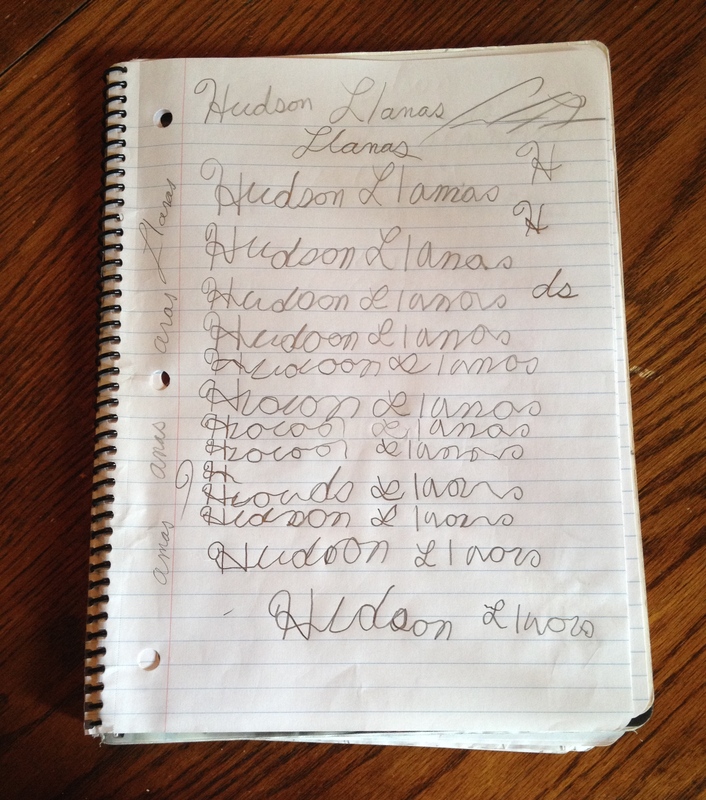 I came home one day to find my grandson and his father huddled over a spiral notebook at the kitchen table. Hud was laboriously practicing the letter H in cursive. Now in fifth grade, he told me that cursive is no longer taught in his school, so I credit Sam for insisting that it is important for him to be able to at least sign his own name in script. Granted, his printing is fine and legible, but how can it be that handwriting is no longer a lifetime skill that requires instruction and practice? I don’t get it – makes me wonder what else is being dismissed as time-consuming and irrelevant ? Having been a teacher, I know there are only so many hours in a school day, but I believe handwriting is such a personal thing to develop from the time a child can grasp a pencil that it should not be eliminated from the curriculum. There are some things computers and spell check should not replace. Learning to write in cursive should not be one of them. My Dad was a master of letter writing , and I loved his long newsy pages written in flowing ink, and signed in his own inimitable style. His H’s were near perfect, and with practice, I believe his great grandson’s will be too!